Well, as long as you're honest about what you're doing, I think it'll be fine. I'm not doing anything funky here, I just updated it for my personal needs and noticed there's a large amount of people expecting a update that will probably never come. I'm still getting invisible worlds on my intel chipset, sadly. why are you even trying to install this with intel graphics? "Some may say I'm 10 pounds of crap, but I'd say it's more like 11 and a half..."
+1. 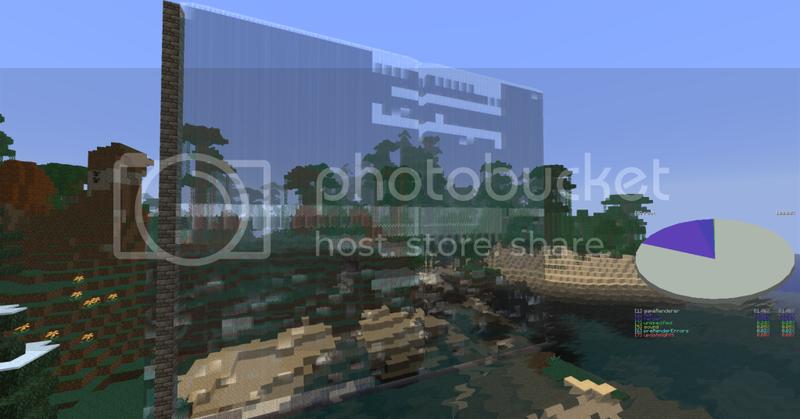 Intel graphics can hardly support vanilla minecraft. When I use this mod with hd textures, minecraft crashes, and with vanilla it just plain doesn't work =/ my graphics card is a radeon hd 6670. Been looking for one of these! Keep up the Great Job Bro! - Add a Banner to get more support for your Mod! I will consider that. You can make one if you want. 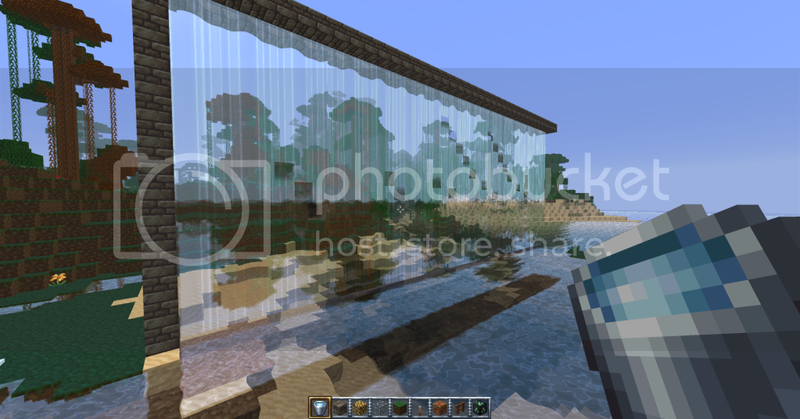 If I may say something, I don't know if it's something you might have done, or if its my system messing up, but when I load up my mc with this installed, it works perfectly when viewed from a horizontal angle, but when viewing through the water (consider, say, a wall of water) the shader seems to break and malfunction. It seems as though it's trying to work and cause that 'rippling' effect, but it's breaking in places. If you'd like I can take pictures and show you if that'll be of any help. That'd be handy. I recall someone complaining about a similar issue when I first saw ASakofDonut releasing his 1.3.1 version, must've broke somewhere along there. Here ya go, images. Hidden so they don't clutter up the page. 1. I was using mcpatcher. 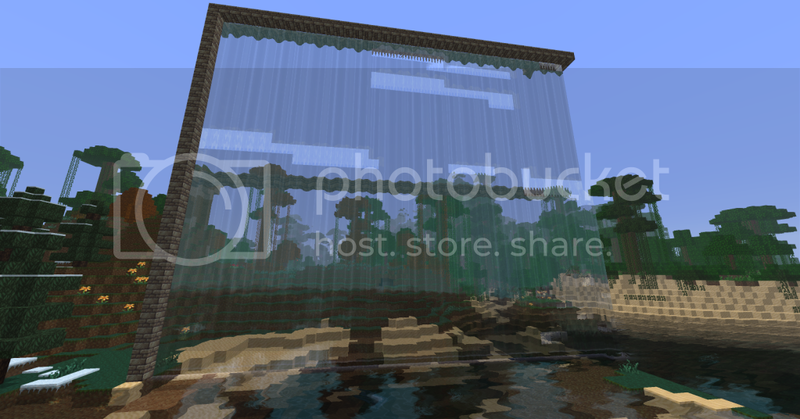 optifine uses similar methods to allow hd textures, and that is what is conflicting with this mod. 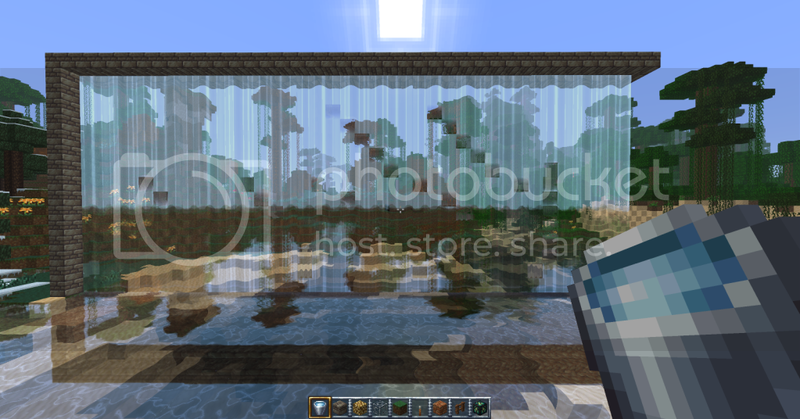 I tried to use MCPatcher to install the mod but it detected conflict between ModLoader and Water Shader. And even so, when I try to start up the game, it crashed. I'll add it to incompatibilies. Thanks! I'm working on optifine, don't know about forge! Ah, about time, nice one.. I'll bookmark this, as I grew to love the shaders back in the day, though I do prefer Optifine more and have gotten used to OF's features.. I look forward to a compatibility again. Even before, Optifine never really worked along side WS for me, a lot of the features appeared to be disabled, like zoom and fog toggle, not to mention many graphical glitches and the patcher not working.. any chance of this being fixed when made compatible again? I'll try to. I don't even use my own mod as of now due to exactly what you wrote. Hey, I made a video, I would be really happy if you could put it in the topic! Will do! Thanks for making it!